Viola bicolor is unique because it is the only pansy that produces cleistogamous seed pods. 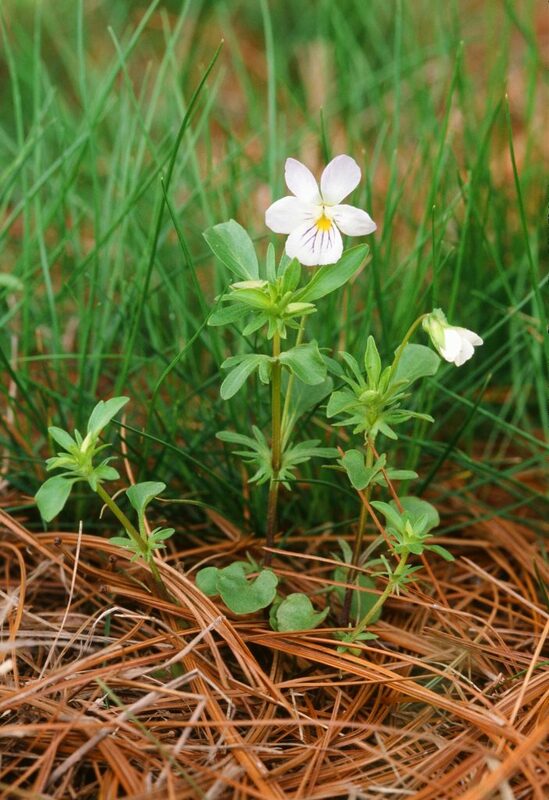 A biennial species found throughout the southeast states, it is also the only pansy endemic to North America. Although there are two additional pansy species growing in North America, they are weeds introduced from Europe: V. arvensis and V. tricolor. 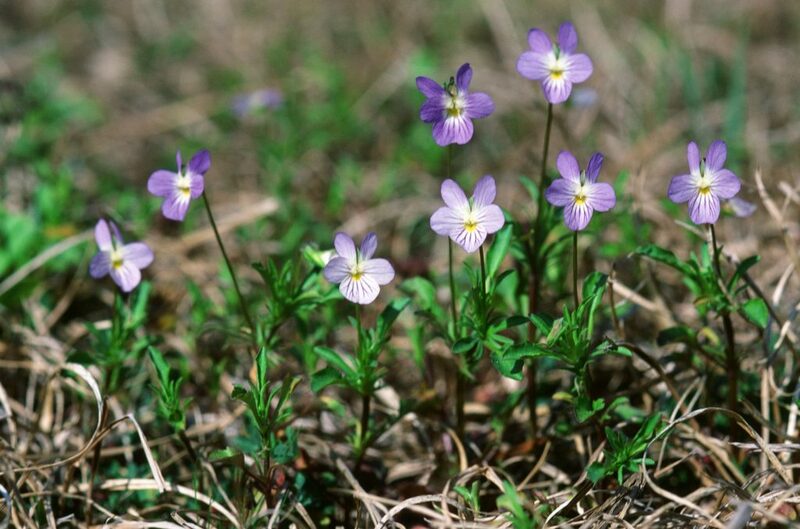 Viola bicolor is distinguished from these weeds by its flowers that are all of one colour, from white to blue-mauve, except for its yellow centre. 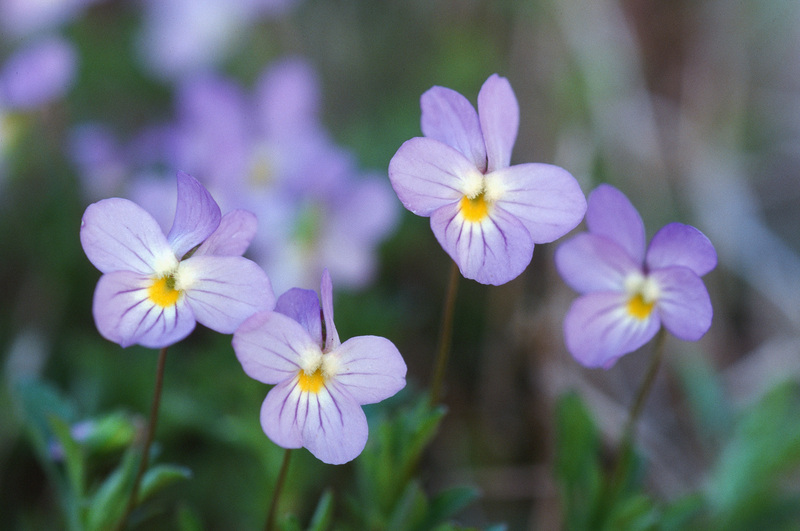 Viola tricolor has petals of three different colors, the top two petals darker purple than the lower three petals that may be light mauve or yellow, while Viola arvenis has very short cream-coloured petals, shorter than its sepals. 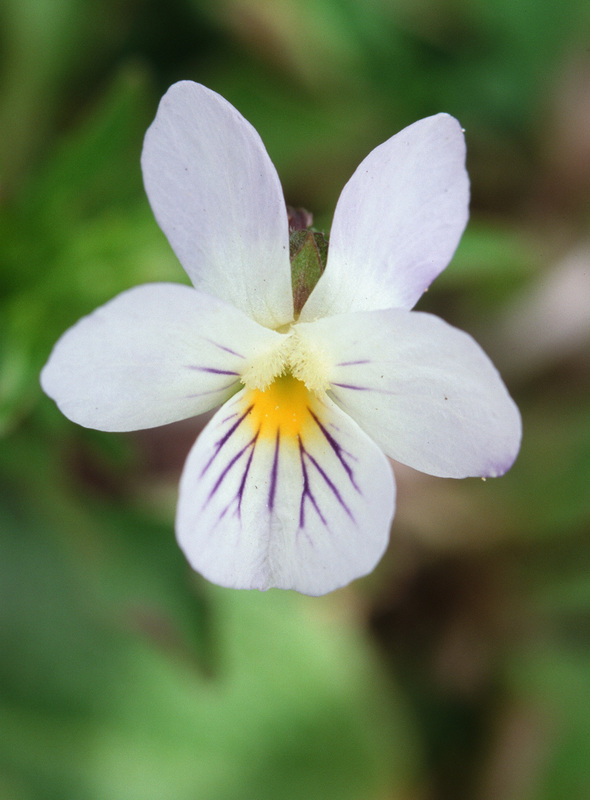 Both introduced species also have yellow centres, but neither of the two introduced species Viola arvenis or Viola tricolor produce closed (cleistogamous) flowers. 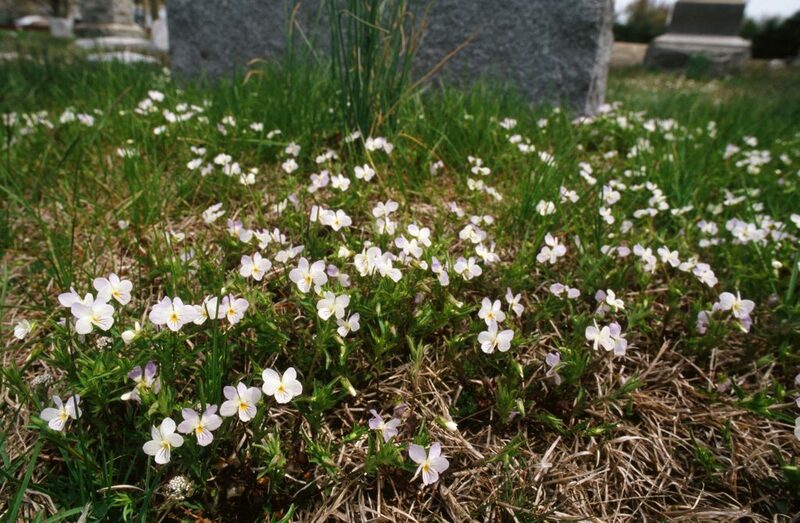 Although its flowers are very small Viola bicolor usually grows in large colonies displaying a mass of white or lilac-blue colour in fields and along roadsides in early spring. 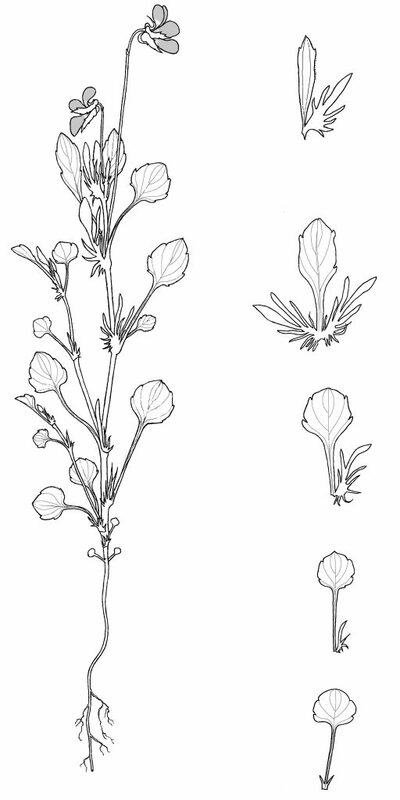 This species can be identified by its delicate vertical leafy stems, its leaf-like finely divided stipules, its small petals that are twice as long as the sepals and its abundant closed seed pods produced from the axils of the upper leaves. 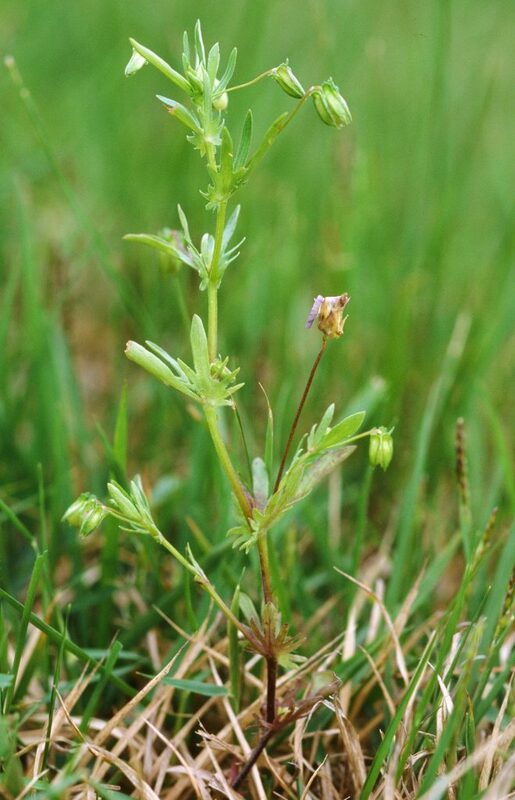 Plants are usually up to about 15 cm tall, with one to several stems, the older stems branching at the base. Two persistent cotyledons are always present at the base of the stem. Instead of a rhizome, there is a narrow erect taproot the upper part of which is purple in colour that continues up the the base of stem. Pubescence is present on all stems, on the leaf and stipule margins, the peduncles and on the veins of both leaf and stipule surfaces. The leaves are spathulate to obovate in shape with one or two teeth on each margin, the leaf base tapering into the winged petiole. Petioles are longer than the leaves. Upper cauline stipules become larger to nearly leaf size, and more pinnately divided as cauline leaves ascend the stem. The upper leaf divisions form long narrow segments. 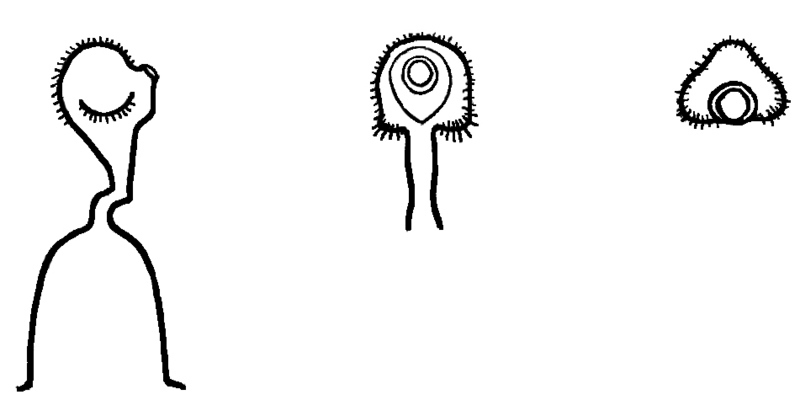 Bracteoles at the top of the peduncle are very short, 0.8 mm long, purple and glabrous. Axillary flowers are above the leaves, 1.5 cm long, their color varying from dark violet-blue to almost white, with a white throat and a bright yellow patch in the throat on the lowest petal. There are dense hairs on the inside of the lateral petals. The lowest petal is notched at the end, has purple veining and a spur of less than 1 mm in length. Flowering time is February in the south, to May in colder northerly locations. Sepals, with appendages 0.6-7 cm long. Pods are ellipsoid, green and glabrous. Seeds have an elongated seed shape that is typical of pansy species, very pale brown and 0.3-0.5mm long. 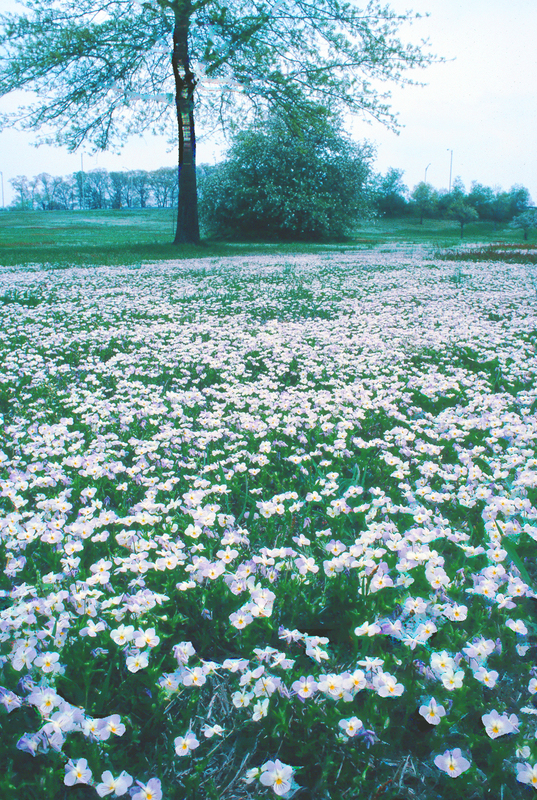 They germinate in the autumn so that the plant can flower early in the spring. As soon as the spring turns warmer, plants change to producing closed flower pods in abundance throughout the long growing season. 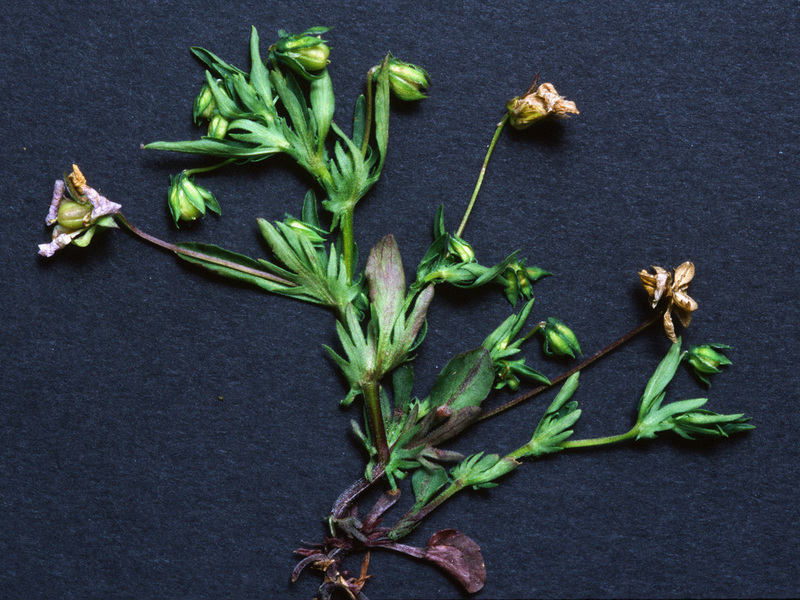 However, seeds germinating in spring will only produce closed pods and usually die at the end of the season. 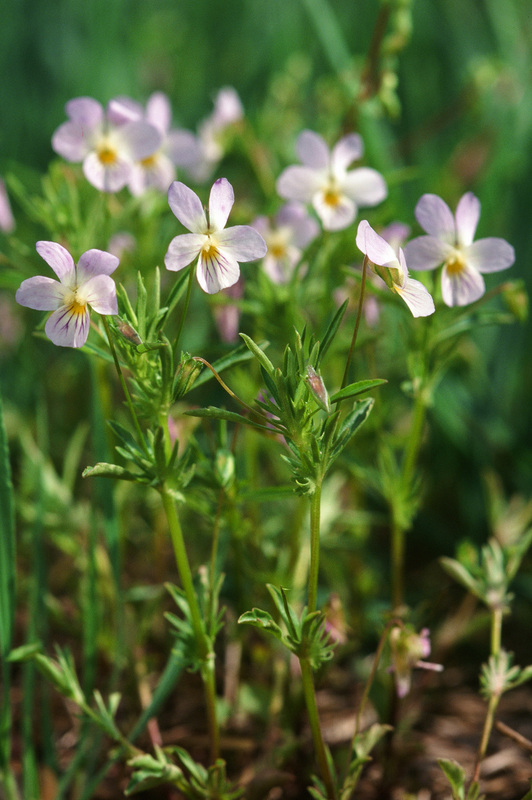 This species is commonly found, often in large quantities, in meadows and dry open woodlands, disturbed areas, fields, cleared roadsides, cemetery lawns, in sandy soil and shale barrens, usually in full sun. It has a widespread distribution from NY southwards to the mountains of the western Carolinas and northern Georgia, westward to Michigan, south to Texas and Mississippi. Disjunct populations occur also in the Rocky Mountain foothills at Boulder, Colorado, and in central Arizona. Unfortunately, populations have died out in locations where road maintenance crews mowed before the seeds were mature, as happened in New Jersey near the Commodore Barry Bridge interchange.